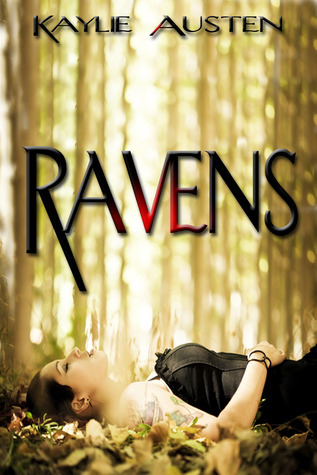 Plot: First, here is the summary of "Ravens" from Amazon - What are Ravens, and are they as the world wants us to believe—sinister and without human qualities? When abruptly taken from their world, select humans are transformed into creatures of the night with penetrating eyes and uncanny abilities that most believe are a threat to mankind. Stripped from their mundane and ordinary lives, these creatures have no choice but to stalk the night and fight back in order to survive. One such Raven is eighteen-year-old Liam, who uses his telepathy to communicate with Kendra in order to lure her into the transformation. It proves to be a double-edged gambit that turns into a tumultuous journey. Racing against time to save her sister, whom she believed to be dead, Kendra falls through a portal and into a parallel world where humans hunt her. She becomes a Raven with ill-controlled powers, trapped in a torrid affair with Liam, and desperately struggles to find a grip on her new reality. The relationship between Kendra and Liam was... to put it mildly, steamy. They had a problem keeping their hands off of each other and since he is described as incredibly attractive, it was distracting and hard to read sometimes. I wanted to read more relationship building between the two characters. They did have some great emotional moments and some arguments, but it went up and down fairly quickly. I honestly had some trouble liking Kendra. She was distant and made a lot of rash decisions. I liked Liam's character, when he managed to keep his shirt on. It was a bit steamy for YA. Part of the story, I really just wanted them to stop touching and there to be more plot development. Ravens is an interesting concept about parallel worlds, missing children, and the strange powers which make them hunted. I enjoyed reading it, even if I felt the whole portal shifting/parallel world could have used a little more explanation. I would recommend it if you enjoy science fiction with quite a bit of touching. Good review. I like a lot of relationship building too, but a little steaminess doesn't hurt! The concept sounds good, even though this isn't my usual genre. Maybe I'll give it a try. Thanks! It's not fully my usual genre either, but it is an enjoyable read. Do I have to be witty?